There are many areas to explore , including canyons (Above), cities and forests. Need For Speed: Payback is a thrill-ridden game with lots of action and a story with just as much surprises. There are 10 leagues that stand in your way to the Outlaw's Rush. The Outlaw's Rush is the biggest street race in the country. It's also the only way for you to get revenge on the House, a mysterious organization bent on fixing every bet and every gamble in Silver Rock. They infiltrated a heist you and your crew were performing and made off with a two million dollar supercar. The leader in the sabotage was Lina Navarro, one of the House's representatives. There are many places to visit and race at in the world. There are multiple goals at once in the story. There are many street leagues to tackle at a time, each varying from off road to drift trials. There is a crew boss at the last race of each league. There can be from 4 to 8 league races in a story line. You can also set points to drive to on your map, like a GPS. 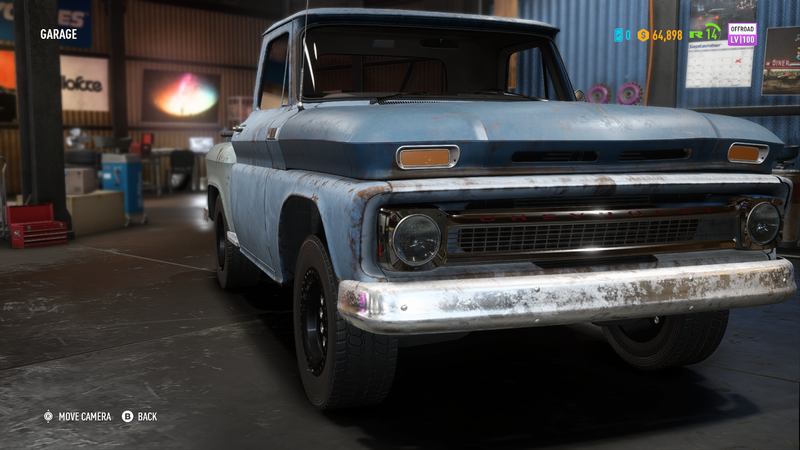 There are many derelicts to find, such as the Chevy C10 Stepside Pickup. Around the map, using hints given to you by crew bosses, you can find abandoned cars called derelicts. There are five parts of each car to find, the chassis, the internals, the tires, the transmission, and the cosmetic pieces. 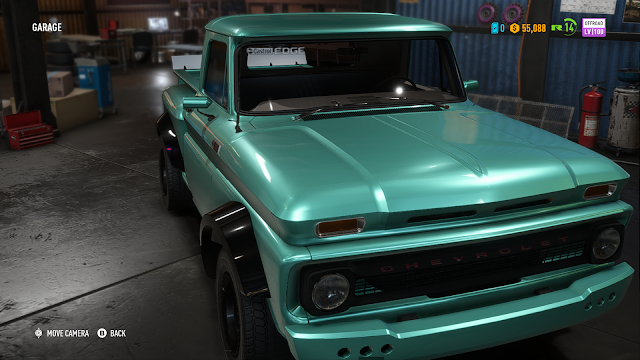 The C10 Pickup restored and repainted with extra cosmetic modifications. This game was amazingly fun to play, whether its racing or just looking around the landscape. 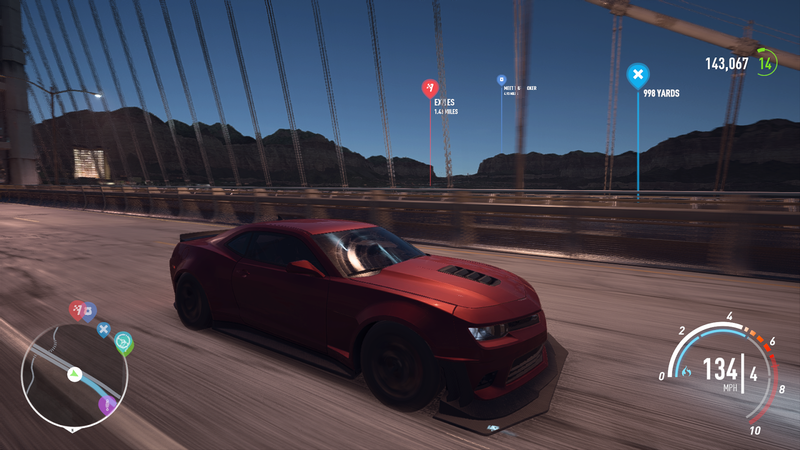 The physics of the cars were good, and an improvement over other racing games. 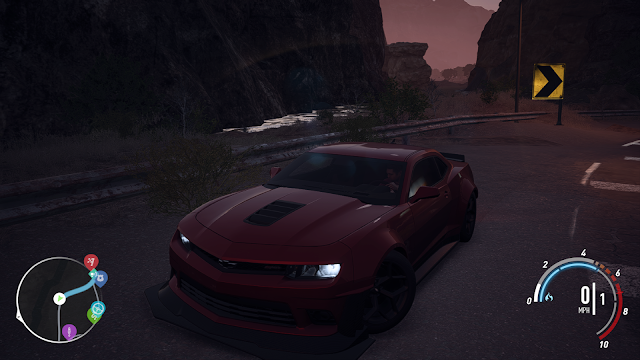 The story was amazing and I would highly recommend it to fans of The Forza Horizon series.